Hello Friends! 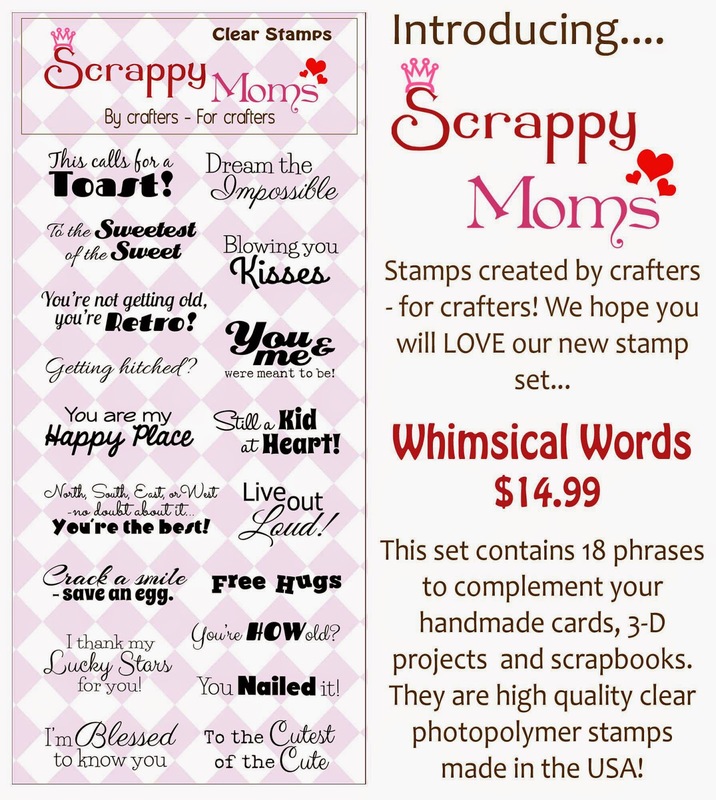 This month I am guest designing for Scrappy Moms Stamps. I have to give a big thank you to Melanie for giving me the opportunity to be a guest designer. This month's release is absolutely fabulously and I have some great projects to show you this week. 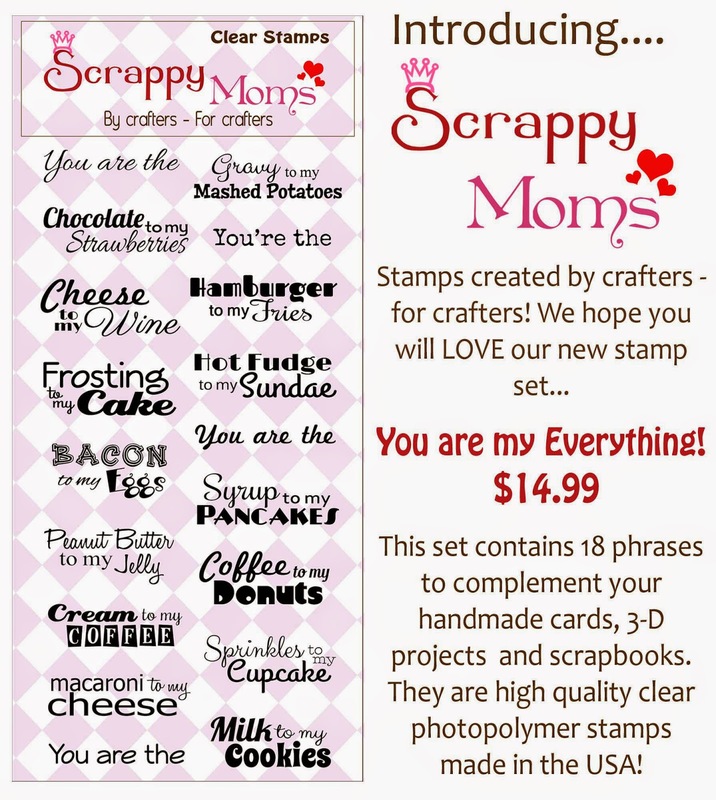 The two sets that are being released is called "You Are My Everything" and "Whimsical Words". For the first card, I am showcasing "You are My Everything"﻿. 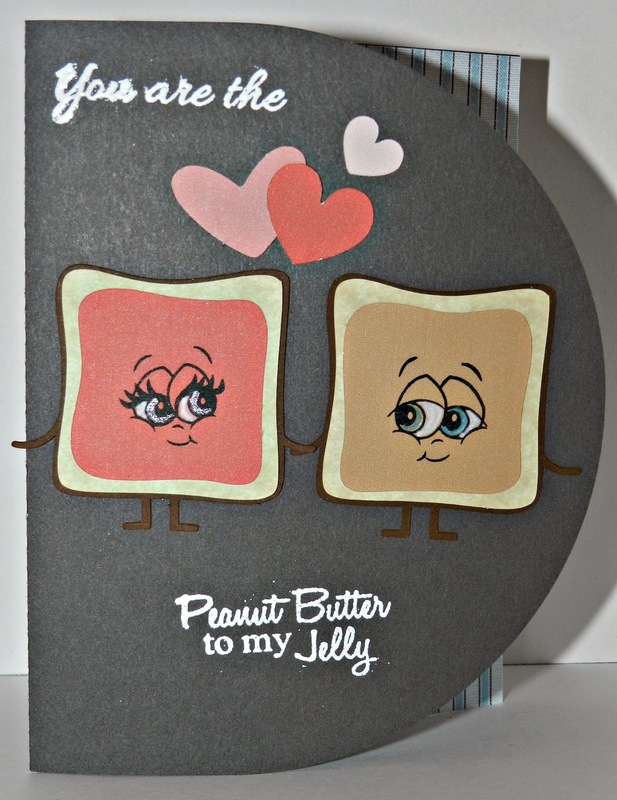 I used the pb&j love image from Silhouette Miss Kate's Cuttables collection #55421. Super cute card...love the faces! The sentiments are darling! Congrats on your GD spot!